Wait. Before you go any further, I recommend you chug a carton of Rihanna's preferred brand of coconut water (and doye, pick the tropical fruit flavor). You will most definitely want to hydrate before you read the ball of fire that is this piece of news. [Waits. ]Ready and Vita Coco'd? OK. Here it is: According to Deadline, Peter Berg (Battleship, Hancock) will direct a theatrical feature documentary about Rihanna. (No word yet on whether or not the airplane/breakout star of 2013 made-for-TV doc 777 has been asked to appear in the documentary. Rumor has it that airplane's ego has been out of control ever since 777 premiered.) I repeat: The world will be blessed with the opportunity to watch the "We Found Love" singer just live her life (Oh! Ay ay ay) on the big screen. YAAAAAAAAS. Take all of my money right now, Fandango. According to Berg, this will be “much more a character study than a music film.” Sounds great, can't wait. Hey, RiRi documentary? You have me in the palm of your hand. And in the palm of your hand is where I will remain for the rest of eternity. Sure, I’d prefer that the RiRi doc went on for forever, but that wouldn’t be a reasonable wish. 5 1/2 hours is definitely more reasonable. I hope this documentary is 5 1/2 hours long. If wish no. 1 comes true, an intermission will be necessary. Don't want to be forced to miss a second of the doc because of bathroom breaks, snack refill breaks, et cetera. 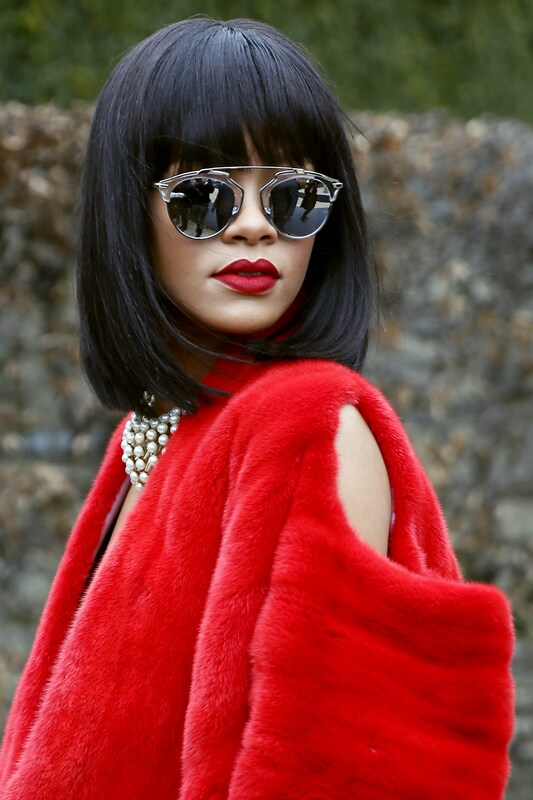 Few humans are better at 'gramming than RiRi. I want to witness the Insta-artist at work. The rumored Rihanna/Leo DiCaprio 'ship is my everything. It'd knock me out of my theater chair if RiRi's party pal showed up in this doc. May the RihCaprio rihumors never die. Wish I may, wish I might, I wish that Rihanna would look directly into the lens and say, "Hey, Kristie! You rule!"